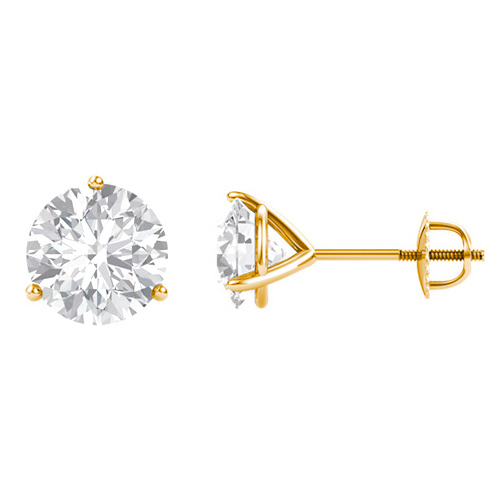 Each martini earring dazzles with one 6.5mm round Forever One moissanite jewel set in polished 14kt yellow gold. The equivalent diamond weight is 2.00 carat total weight for both earrings. Includes Charles & Colvard warranty card and certificate of authenticity. Made in the USA.